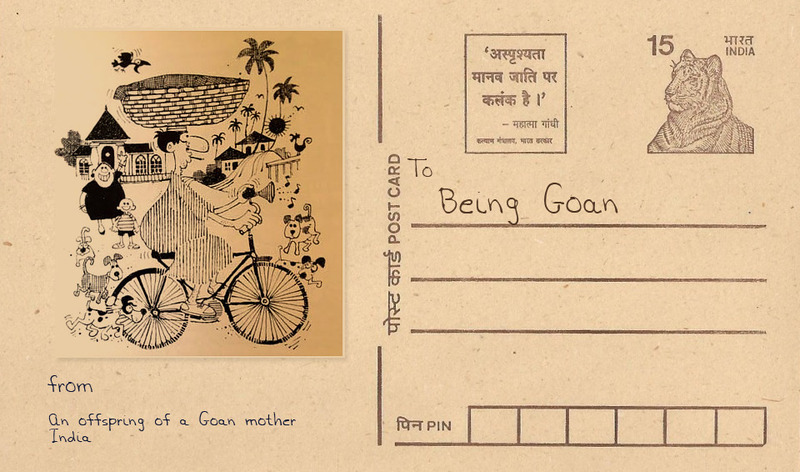 Ponk ponk, goes off the Goan morning alarm. It’s 6 AM and the Poder appears in the horizon looking like an umbrella blown inside out. He adeptly balances the bamboo basket on his head carrying loaves of Pao, fresh from woodfire oven. 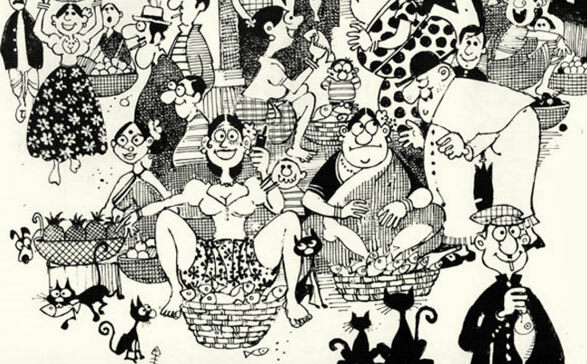 Mario de Miranda scratches this onto paper; a picture that speaks of Goa to many. Pao matched with no spice potato-onion sabzi is a typical breakfast of a Goan household. The fisherman presents his assorted catch for the day. Not each one prefers the same fish. Women, strong and gay and bright hold a conversation on the fish they got for the day.